This specific Full Cheek Gag Snaffle Bit happens to be one of our best sellers. It is not just made of impeccable craftsmanship but we also offer them at an affordable price to help you save. This bit gives lateral control to the horse and measure 2 1/2'' rings and 13mm mouth. 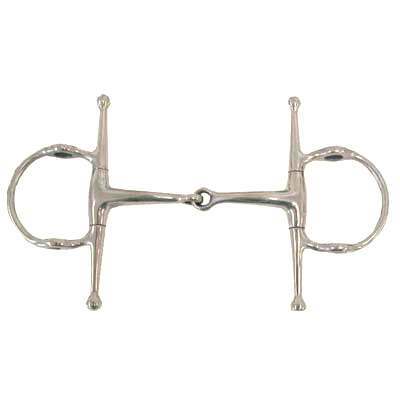 This Full Cheek Snaffle is also made of top quality materials that will last a lifetime. If you are in need of Horse Gag Bit this item is just what you need. We know how hard it can be to find a great deal on Full Cheek Gag Snaffle Bits. This is why we offer all our Full Cheek Snaffle Bits at discount prices to help our customers save and want to come back for future purchases.